LuxSci.com and other LuxSci-owned web sites will switch from SSL certificates that use SHA1 to ones using SHA256. This provides better security for TLS connections. There is nothing currently wrong with SHA1; in fact most providers including Google still use it. However, the consensus of the Internet community is that it is getting “weaker” and should be replaced with SHA256 sooner than later. As a result, Google least year indicated that any web sites that are still using “the old” SHA1 after January 1st, 2016, will show big red “insecure” warnings in people’s Google Chrome browsers. No web site wants that; so most of those that have not already switched to SHA256 are doing so by the end of 2015. Read more: New SSL Certificates, SHA256, and Backwards Incompatibility: What to Do? 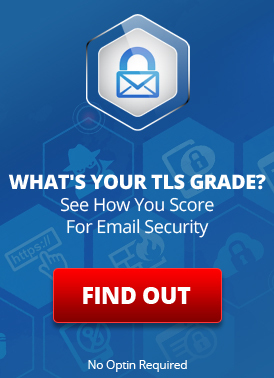 All LuxSci customers who have purchased SSL certificates from us in 2015 are already using SHA256. LuxSci purposefully got new SHA1-based certificates at the end of 2014 that expire at the end of 2015 so that it could continue using SHA1 until the last moment. Why? Because Internet Explorer v8 on most versions of Windows XP does not support SHA256. We wanted to keep compatibility with that as long as possible. Once we make the change, people using Internet Explorer 8 on many versions of Windows XP will not be able to make TLS connections to https://luxsci.com. SNI allows web sites to host multiple secure sites using multiple certificates on the SAME IP address. As IP v4 addresses are essentially used up, we are moving to not needing new IP addresses for every secure site that signs up with LuxSci. This (a) simplifies setup, (b) reduces cost for us and our customers, and (c) frees up IP addresses. The only down side is that Internet Explorer 8 on Windows XP does not support SNI — all other browsers (including Internet Explorer 8 on Vista and above) do. As the SHA256 change already requires dropping support for Internet Explorer 8 on most of Windows XP, we are going to enable SNI support at this time as well. What will be the effect? Users of IE8 on XP who navigate to LuxSci hosted servers may get an TLS failure page when our servers detect that the browser does not support SNI and that SNI is being used. However, such visitors may already have secure TLS connections failing due to lack of SHA256 support. The speed, usability, security, and privacy gains you will have by doing this are huge. Microsoft will also stop supporting Internet Explorer v8 on any system after January 1st, 2016. This entry was posted on Sunday, August 2nd, 2015 at 11:00 am	and is filed under LuxSci Insider. Both comments and pings are currently closed.